Apple’s next iPhone is approaching fast. A new phone is all but certain to be revealed at Apple’s September 10th event, and there have been hints that a big surprise may be in store: since as far back as January, rumblings have pointed to Apple releasing two iPhones this year, instead of just one. The first would be a traditional flagship device, while a second would be a completely new model that would sell at a lower cost. Here’s our breakdown of some of the loudest, most reputable, and most likely rumors out there for what the two phones could look like. Apple has a history of making minor hardware changes in the years that follow a major redesign, and there’s no reason to think that this year will be any different. Like the iPhone 3GS and iPhone 4S, the new flagship iPhone is expected to have an almost identical appearance to its predecessor — featuring the same display and nearly the same body — with most of its improvements being internal. Various rumors have pointed to the name “iPhone 5S” for the new device, which isn’t exactly a long shot when it comes to guessing at what’s coming next. The big differentiator for the next iPhone is rumored to be a fingerprint scanner that’s built directly into the device’s home button. While that may seem like a surprising addition, it isn’t entirely out of left field: Motorola added such a sensor onto the Atrix 4G back in 2011, though fingerprint scanners have been absent from high-profile smartphones ever since. But Apple may now have the necessary technology to bring them back in a big way. Last year it purchased the security firm Authentec, which has worked on the type of biometric sensors that could be built right into a phone. Code that seemingly revealed Apple’s work on a fingerprint sensor was discovered inside of an iOS beta, and Mac Rumorsreports that analyst Ming-Chi Kuo — who’s had a reliable track record recently when it comes to predicting iPhone updates — has also suggested that such a scanner is on the way. Recent rumors suggest that a scanner would only be used for unlocking the iPhone at first. Down the road, however, that role might expand to include facilitating secure mobile payments as well. Among the reasons for the simpler introduction may be concerns as to fingerprint scanners’ longevity and reliability. Multiple reports have suggested that Applemay attempt to mitigate that by covering the iPhone’s home button in durable crystal sapphire rather than glass, just like what the company has done to protect the iPhone 5’s camera lens. The iPhone’s camera could see some upgrades as well. Early rumors pointed to an improved image sensor and lens, but concurring reports have largely died down in recent months. 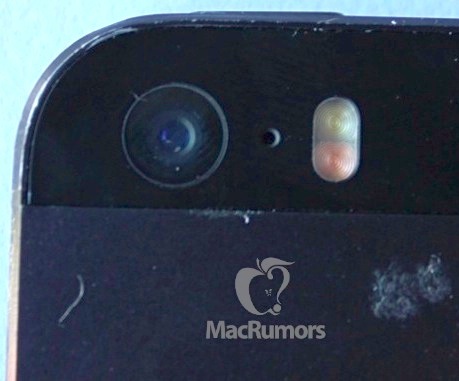 Separately, reports have pegged a possible switch to a 12- or 13-megapixel sensor, up from just 8 on the iPhone 5. And Kuo predicted that the camera’s lens would have a wider aperture than on the current model, up to f/2.0, which would make it capable of collecting more light. Neither rumor has seen continued traction however, so it’s possible that few big changes are in store. The one camera improvement that most rumors seem to agree on is that the next iPhone will see a dual-LED flash. While more lights could be used to better brighten scenes, Apple is rumored to have different plans for the setup: photos leaked to Mac Rumors show two different colored LEDs, rather than an identical pair — by analyzing the scene and firing whichever color is most appropriate for the environment, the separate LEDs could be used to help capture a photo with more accurately balanced colors. 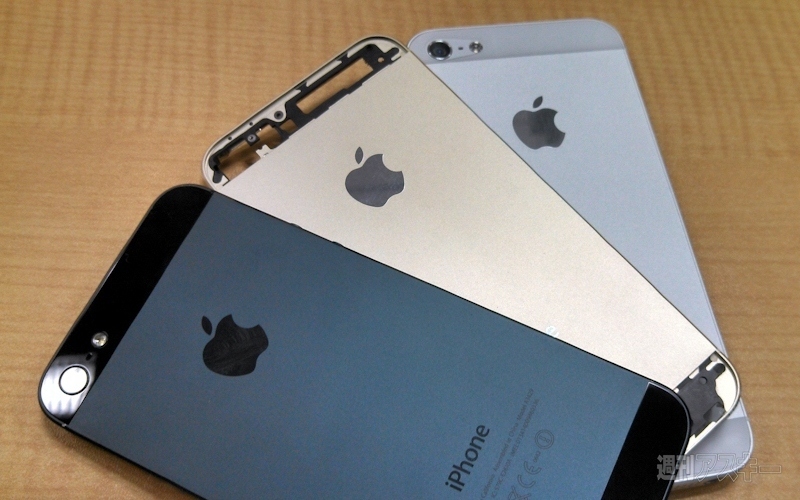 The iPhone has always been black, white, or silver. But this year, Apple is expected to shake things up. A number of reports say that a gold-colored iPhone is on the way — though it’s suspected that the color will resemble more of a pale “champagne” tone than flashy jewelry. Reuters reports that it may be a move to help Apple appeal to the Chinese market. It also ought to be one of the most noticeable hardware changes this year, perhaps making it the best choice for those who want others to know that they’ve got the latest. Rumors have also pointed toward a gray model of the new phone, but leaks of such a device haven’t been nearly as plentiful. Storage could see an upgrade as well. Apple has a history of doubling the base storage on every other year’s iPhone model, and major competitors like HTC have recently begun starting their devices off with 32GB of storage — exactly where Apple would land if it decided to double storage this year. It wouldn’t be entirely unlikely either. The company started offering a 128GB iPad recently, suggesting that it could continue to offer an iPhone with three storage options even if it chose to double what’s offered at each price. A BETTER, FASTER, STRONGER PROCESSOR? Otherwise, it’s been reported that the iPhone will see a small battery improvement, but not much else is known. Rumors earlier in the year suggested that Apple was at work on larger devices with display sizes of 4.7 and 5.7 inches, but if they are in the works, it doesn’t appear to be for this year. A low-cost, plastic iPhone could debut alongside a new flagship device at Apple’s rumored event this September. That’s far from confirmed, but a spate of case leaks — not unlike what happened just before the iPhone 5 was revealed — suggest that such a debut may be approaching. 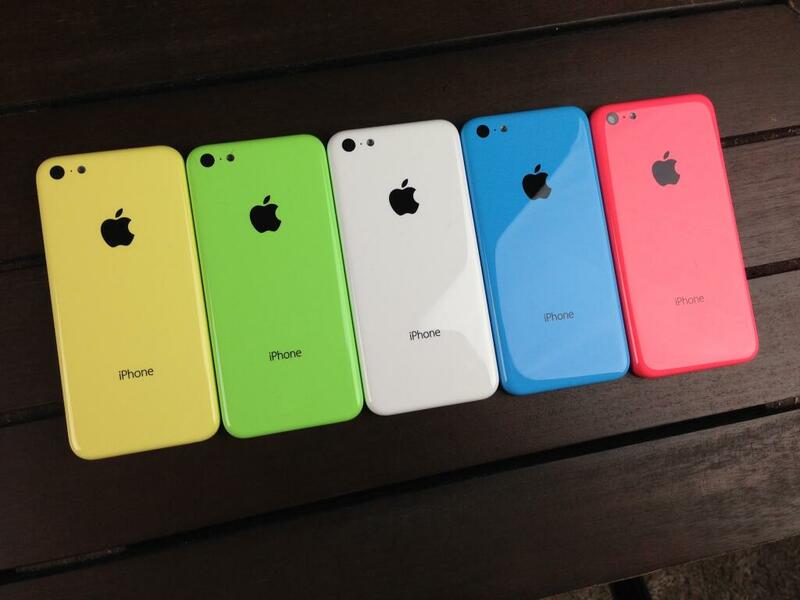 The new device’s name is believed to be the “iPhone 5C,” with the C standing for “color,” reports Business Insider. The phone is expected to be available in a variety of bright, almost-pastel colored backs, similar to what’s seen on the current iPod touch lineup. Photos of several purported cases, as seen above, have been leaked by writer Sonny Dickson. The case is expected to be slightly larger than the iPhone 5’s, and to be made primarily out of plastic, rather than the aluminum that’s currently used for iPhones. It’s otherwise believed to be very similar to the iPhone 5. Various publications have reported that the device will include LTE, a 4-inch display, and a camera and processor similar to what’s in the iPhone 5. While a price hasn’t been pinned down just yet, it’s likely that a low-cost iPhone would take the place of one of Apple’s older devices, which are generally sold at a reduced price following the introduction of a new model. There’s one thing that we know for certain about what’s coming next from Apple: a major overhaul to iOS that the company says is the “biggest change” yet. The most noticeable distinction in iOS 7 is that its visual style has been almost completely rethought, with hardly a corner of the system left untouched. The coming update makes the operating system more colorful and less reliant on real-world metaphors — starting in iOS 7, you may just press on the word “Send” to send off a text message, rather than pushing down on a seemingly physical button inscribed with the word. A number of big, much requested features are making their way to iOS 7 as well. All apps will now be able to multitask to some extent — while they’ll still shut down to conserve power, Apple says that apps can now try to predict when you’re about to use them, and automatically update in the background so that you don’t have to wait. Apple is also finally giving users a quick way to toggle frequently accessed settings like Bluetooth and brightness. By dragging up from the bottom of the screen, users will be able to open the iOS Control Center, a translucent pane that includes around a dozen settings, services, and apps to jump into. We can’t say for sure what any new hardware from Apple will look like, but one thing’s for certain: one way or another, there are going to be some big changes to the iPhone this fall. Next Story → Nexus 5 officially launched!